Ways to Call the Power of Isis, the Egyptian Goddess into your life. Create an Isis altar. 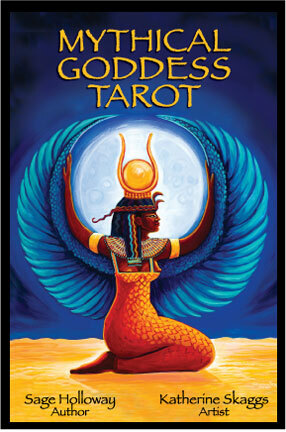 Set a sacred space in your home that is dedicated to Isis and the power of the Divine Feminine. It doesn’t require a lot of room, even a dresser in your bedroom will work. 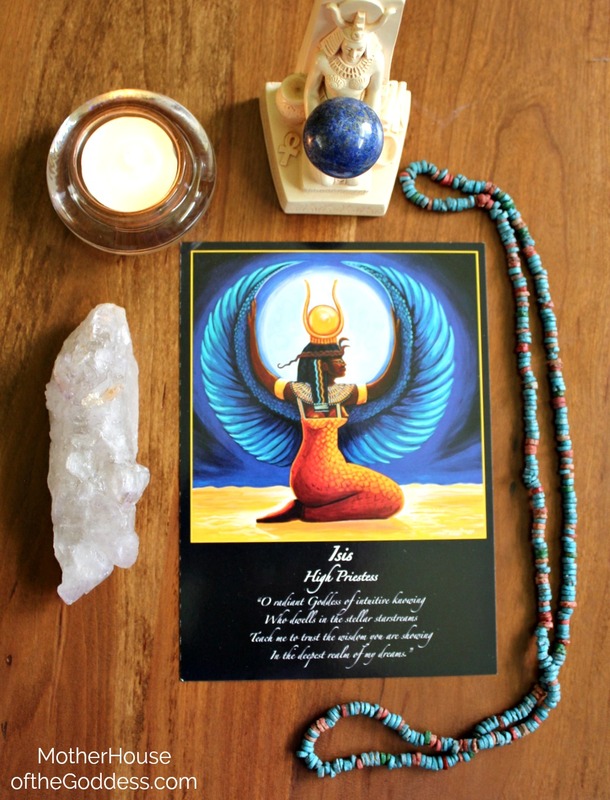 Get an small statuette or image of Isis (Isis altar card pictured above), or an item representing Isis and place at the center of the altar. Choose a candle to burn when you give your attention and prayers to Isis, to honor the Light of Her wisdom returning into you. You can place other items in honor of Isis such as flowers, crystals, a small container of water… all dedicated to honor Isis as a female deity of intuition, healing and fertility, but also to honor these same powers of the High Priestess that live inside of you. 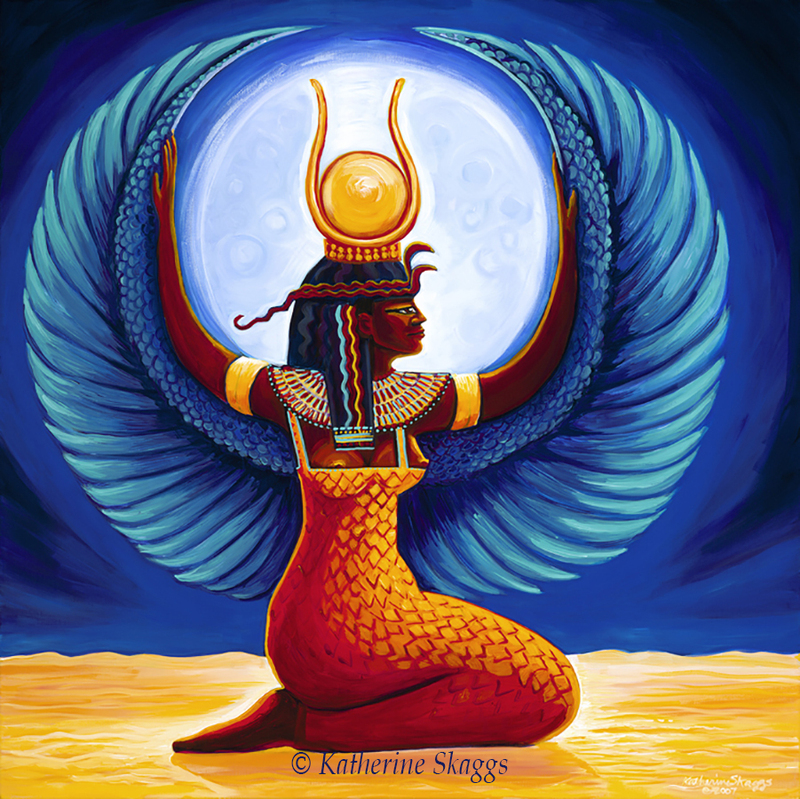 Katherine Skaggs is a visionary artist, intuitive, author, teacher, spiritual counselor, shamanic practitioner, entrepreneur and painter of souls. As an artist, Katherine acts as a mystic channel to open a doorway to the Divine, so one may experience the beauty, illuminating energy and transformative depth of the Spirit world into one’s own experience… not only visually, but viscerally. Katherine Skaggs is also the artist of the Mythical Goddess Tarot, the Pocket-full of Goddesses: a Blessing Oracle, the Pocket Blessing Cards, more than 68 altar cards to date, as well as thousands of soul portraits and spirit guide paintings. Currently Katherine is working on the artwork for the Conscious Dreamers Oracle: an oracle born of the Mayan Dreamspell archetypes and energies. Katherine engages the essence of the archetypal energies, and draws inspired imagery onto canvas. The Divine Mother has fully come forth in my consciousness and I have come home to myself and with you my sisters. It has been a journey but to claim my Priestesshood is the most beautiful thing I’ve ever experienced. So grateful to have found this wonderful site honoring her! This is exactly the guidance I’m looking for. Perfectly intended to touch my life. Thank you.